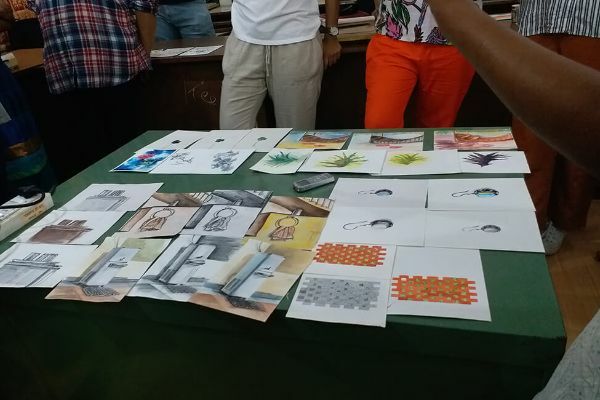 A very crucial aim of Parag bringing out more books with disability and inclusion as the theme is to encourage more conversations about individual differences, different experiences, and empathy along with conversations on the sameness or universality of aspirations, friendships, joys, and struggles. In saying that we are all the same, we are giving space to and celebrating individual differences. Discussions on different books and literature could actually trigger rich explorations of what children actually think about these aspects. This tendency to ‘idealize disability’ (Adomat, 2014) may emerge even when there is no such intent of the author. For example, some children conjectured that ‘Perhaps Kanna could SEE in the dark although he couldn’t see in light!’ to explain how he led the family out of the dark cave temples. As Adomat (2014) put it succinctly, ‘… this strategy ends up reinforcing rather than challenging what is fundamentally a competitive view of the what it is to be a person of value.’ Responses like these present an interesting avenue to unpack what children’s notions of ‘equality’ entail and for discussing how the idea of ‘everyone being the same’ is not the same as ‘accepting differences’. Facilitator – What if they don’t want help and want to come in on their own? On their wheelchair? This leads us to wonder if the intent of these books to establish a sense of agency of people with disabilities somehow trades off with presenting their lifestyles within a realistic manner, masking the actual difficulties they face in accessing public spaces, the difficulties they face in terms of people’s perceptions of their agency and capability? We also realized that as a community we need a more concerted effort to make a range of authentic stories presenting a fuller range of experiences of people with disability more accessible to children. Good books also have the power to engage our emotions deeply and to connect with our personal realities while also helping us understand and empathize with others and, over time, to bring about larger shifts in perspective. 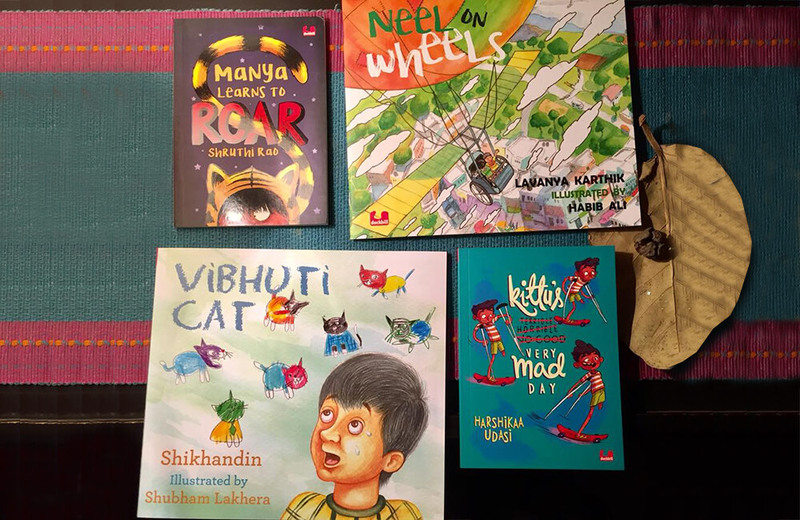 In our conversations with children, we did explore their personal connections with these books. In one group, a girl bravely shared that she used to take her bullying classmates’ words to heart and believe that she was indeed that kind of a person, but now, just as Manya learnt to ignore such things and went on to perform in the play, she will do the same. Similarly, another boy said that he would cry usually when he is teased about his surname, but after reading Kittu, he has decided to try saying something polite or witty and join in the joke. Another girl felt that her default response is ‘mujhse nahi hoga’ but having seen Manya and Kittu’s drive to do things, she will try more things. We often use the metaphors of mirrors and windows in discussing the significance of diversity in literature. Bringing in authentic and diverse narratives in children’s literature ensures that all children can find themselves in a book as well as provide a window to understand and appreciate the “other” and to discover commonalities of human condition. We believe that the books supported by Parag initiative and other children’s publishers is an important start, but we have a long way to go. We need many more sensitively written books that, taken together, present a more complete view of the continuum of ability in our world. 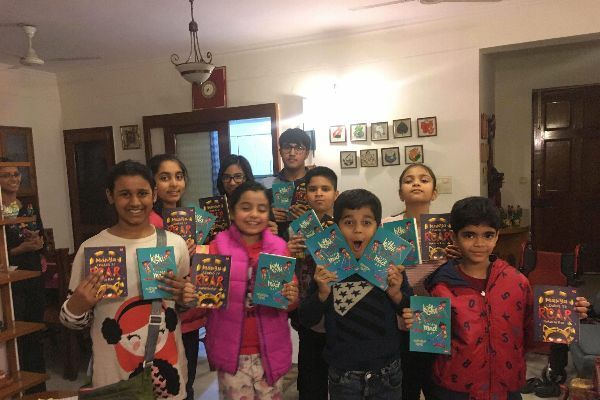 Even as we have more books with characters with disability in them, there seems to be much scope for engaging stories with children with non-physical disabilities, like mental retardation, learning disabilities and even other sensory deficits like deafness. 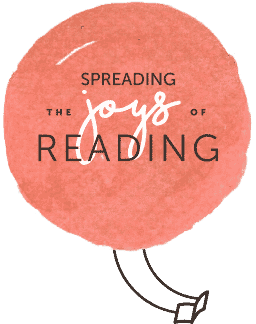 In this pursuit, we must also aim for an interesting range in genre, and have books that can range from easy readers to longer, chapter books. We also need more of these books in a range of languages so that all children can find themselves and others them in these books. Adomat, D.S. (2014). Exploring issues of disability in children’s literature discussions. Disability Studies Quarterly, 34(3). Dyches, T., Prater, M. A., & Jenson, J. (2006). Portrayal of disabilities in Caldecott books. Teaching Exceptional Children Plus, 2(5). Nasatir, D., & Horn, E. (2003). 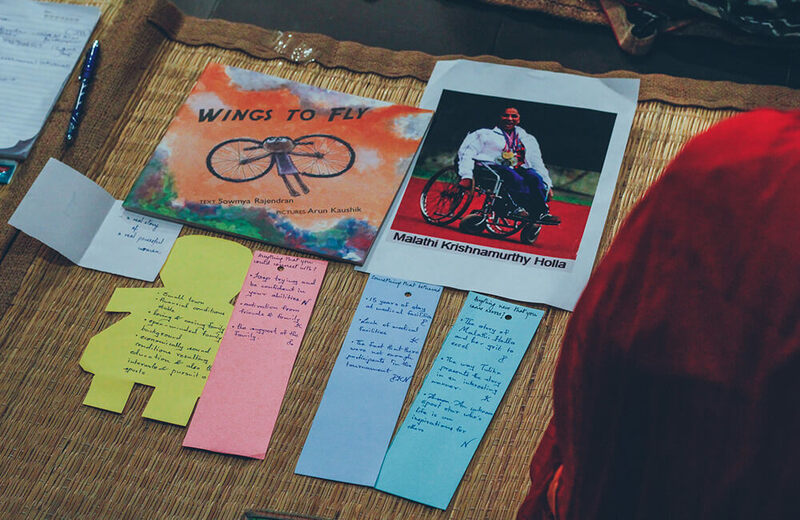 Addressing disability as a part of diversity through classroom children’s literature. Young Exceptional Children, 6(4). Ostrosky, M.M., Mouzourou, C., Dorsey, E.A., Favazza, P.C., & Leboeuf, L.M. (2015). Pick a book, any book: Using children’s books to support positive attitudes toward peers with disabilities. Young Exceptional Children, 18(1). Pennell, A. E., Wollak, B., & Koppenhaver, D. A. (2018). Respectful representations of disability in picture books. The Reading Teacher, 71(4).